? 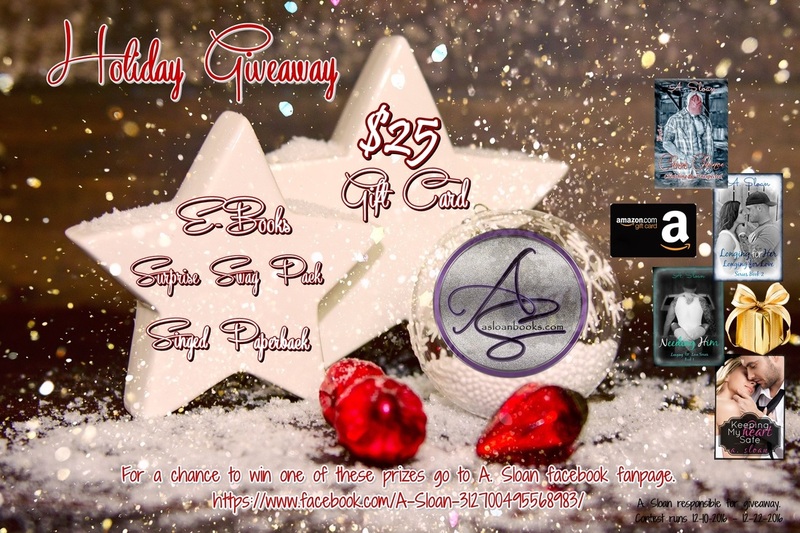 HOLIDAY GIVEAWAY ON MY FACEBOOK! ? For a chance to win 1 of 5 prizes. 1 of 2 - Kindle copies of your choice of one of my current releases. 1 - Copy winners choice of a signed paperback of my current releases. 1 – Surprise swag pack containing my swag and a few other authors as well. ✫1 - Like my fan page. ✫3 - Comment with one of your favorite books this year and tag at least one friend. You can enter once a day if you like. Winners will be picked by Random. Facebook is not responsible for this giveaway I am. Take a chance on the unexpected. Cheyenne Grafton has always lived her life for others. Never looking back on her choices or regretting them because her family would always come first. Although she wasn’t living her dream, she was living, and that meant something. When her friends finally return from college, life gets more interesting. Unexpectedly falling in love with her best friend’s brother wasn’t in her plans, and she never thought he would be falling for her as well. Chase Taylor has always dreamed of running the family ranch with his dad and uncle. Hoping one day to find a love like his parents. College offered him the knowledge, but he didn’t find what he was really looking for. He never thought for one minute he would have to come home to find the person he was meant to be with. He sisters best friend. 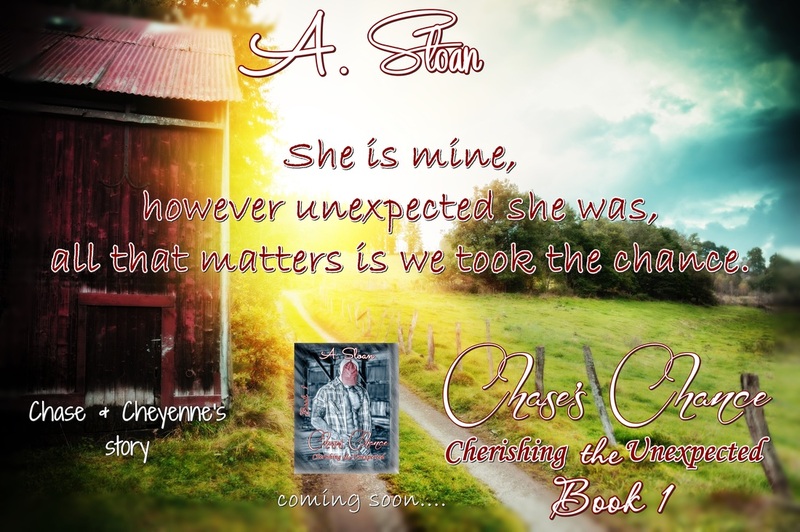 When the unexpected happens and past relationships try to destroy the life Chase and Cheyenne are trying to build, can they get past all the drama that crashes down on their world? Will they keep all their feelings buried deep within, or call it quits before it even starts and never take a chance to cherish the unexpected? 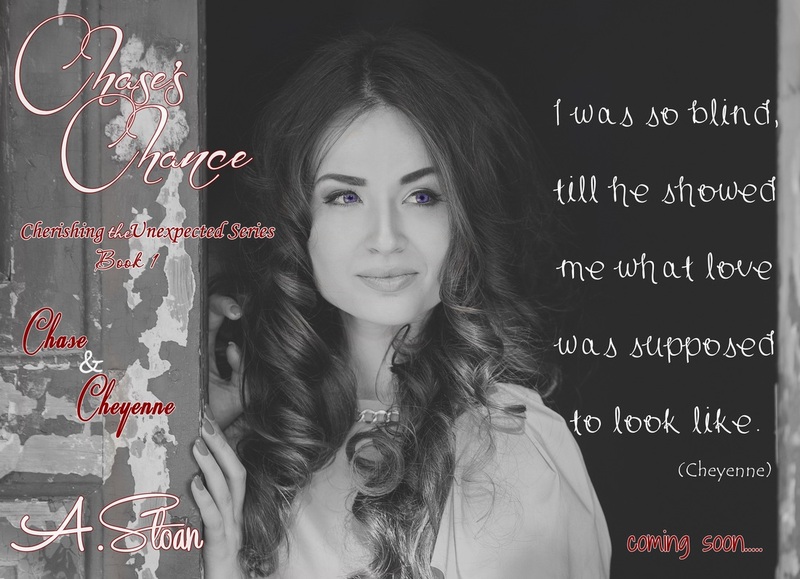 Follow Author A. Sloan on the following. I also want to say thank you to the cover photographer Reggie Deanching. For taking the perfect shot for Chase’s cover. Also a big thank you to the cover model Alfie Gordillo. For bringing Chase’s cover to life. Cheyenne Grafton has always lived her life for others. Never looking back on her choices or regretting them because her family would always come first. Although she wasn’t living her dream, she was living, and that meant something. When her friends finally return from college, life gets more interesting. Unexpectedly falling in love with her best friend’s brother wasn't in her plans, and she never thought he would be falling for her as well. Chase Taylor has always dreamed of running the family ranch with his dad and uncle. Hoping one day to find a love like his parents. College offered him the knowledge, but he didn't find what he was really looking for. He never thought for one minute that he would have to come home to find the person he was meant to be with. His sister’s best friend. When the unexpected happens and past relationships try to destroy the life Chase and Cheyenne are trying to build, can they get past all the drama that crashes down on their world? Will they keep all their feelings buried deep within, or call it quits before it even starts and never take a chance to cherish the unexpected? Follow me on any of the following. It's finally getting closer! I can't wait to share Chase's cover. Cover reveal day will be on April 14, 2016.